Last but not least, Kathleen Phillips, beauty and local San Antonian of Makes You Pretty. 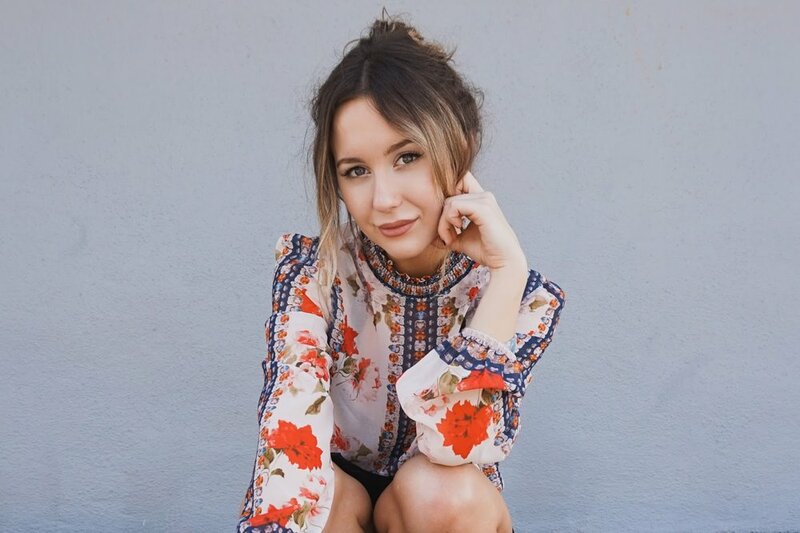 We fell in love with how she wore our Paper Planes Sheer Top --very true to her style and perfect for this v day. 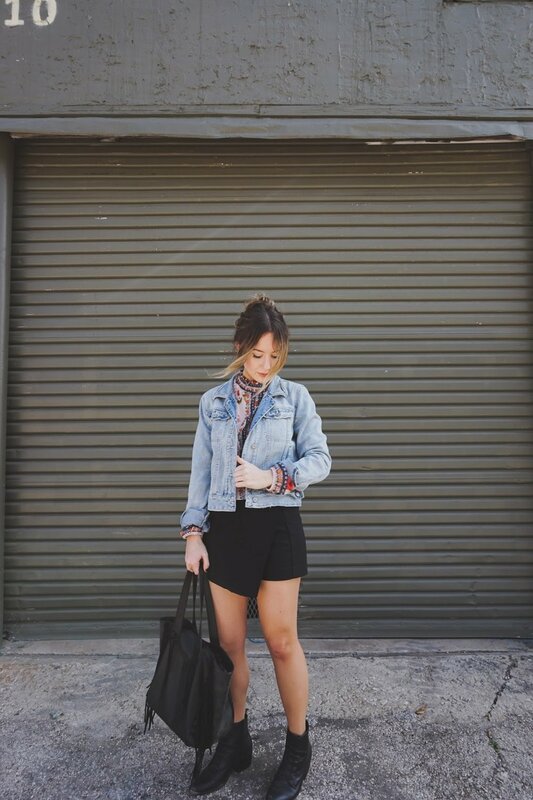 Tucked in a black skort and ankle thrifted booties, then threw over a denim jacket. Romantic and flirty look with victorian feels that will take you to date night or night out with the gals. Follow her blog and youtube channel! Second up; a look styled to perfection by our girl crush Adriana Morfitt from The Gold Atlas. She hand picked our cool white Sugar Rush Skirt and showed us how to take this baby seamlessly into Spring. She wore it with soft neutrals and pinks, black strappy sandals and topped it off with a cap. Making it all about the deets --we want to wear caps with everything now. Drum rolls please, as look no. 1 comes to our blog! More is more. In the case of Allison Ramirez, the brains behind The Stylish Soul, is schooling us on how to wear embroidery that meets no limits. Her new arrival pick was our Feeling It Top and she shows us how to wear it by pairing it with an all around embroidered colorful skirt, pompom earrings and mules. Thus giving all kinds of outfit envy. Take this look on your next date night and make it a memorable one!